Lapp's 'poptails' are a cross between a cocktail and a sorbet. They're basically Calippos for big kids and they might just be our new favourite summer treat. Friends Cécilia Thomas and Laura Faeh met while Cécilia was interning at a vodka brand (so you know they know their stuff). 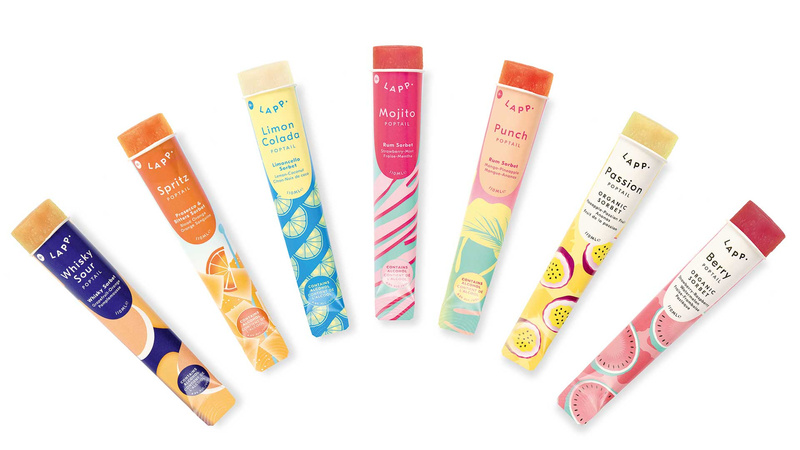 In spring of 2016 they set up Lapp and started making their brand of funky, fresh alcoholic ice pops in East London. Well, there are seven different flavours (two of which are non-alcoholic). Of course we tried them all. For research purposes, obviously. Our favourites? The refreshingly sharp prosecco and blood orange spritz poptail. That was followed by the Limon Colada, because limoncello and coconut milk are a match made in heaven. The whisky sour was interesting, too, but we're not entirely sure we'd buy it again – there's such a thing as too punchy, you know? They're stocked at SPAR by EAT 17 in Homerton, Walthamstow and Bishop’s Stortford. you can also find them on UberEats and at handful of venues in East London, including Studio Spaces E2 and The White Hart in New Cross.